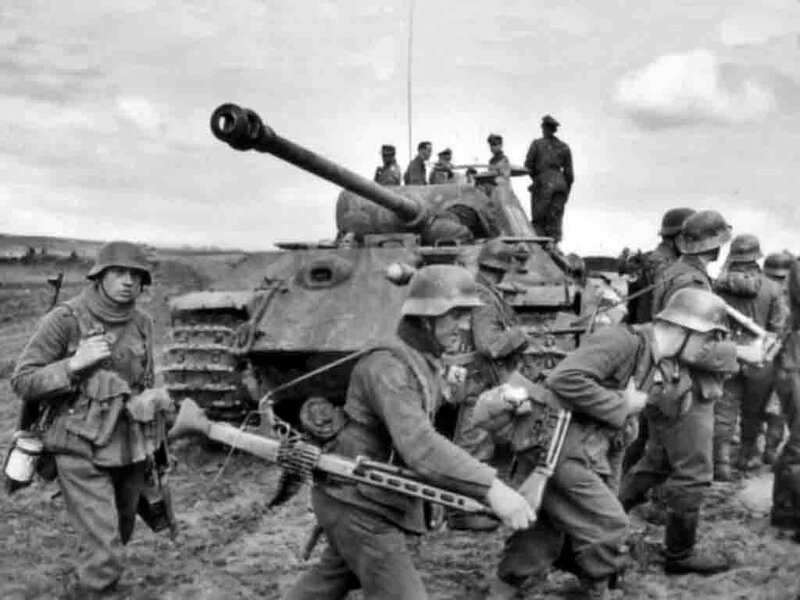 Panzergrenadiers of the SS division “Wiking” (5. SS-Panzer-Division “Wiking”). The Battle for Kovel (Volyn Region, Ukraine). The SS soldier in the foreground carries a MG-42 machine gun on his shoulder. In the background – medium tank PzKpfw V Ausf. A “Panther”.